Pregnancy is one of the happiest things that can happen to a family, bringing calmness, joy, and excitement. Yet, this happiness doubles in the case of twins. The Public Library of Science One reports that twin fetuses learn their social skills in the womb, and they seem to be wired to socially interact with others soon after their birth. 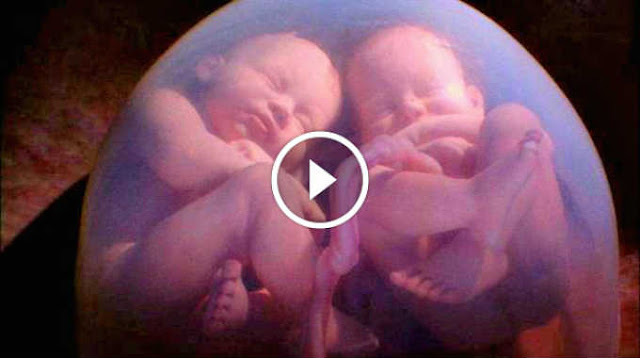 The following video caught these tweens playing in the womb, wrestling, and even apologizing to each other, Within a couple of hours of their birth, they mimic the gestures of people around them and make social interactions. The conclusion of the research was that it is deeply in the human nature to reach out to other people, and socialization is obviously already present in the womb. It has also been found that the behavior of the twins can also be examined during the period in which they are still in the womb. On the video, the baby on the left seems more careful, while the other one is more dominant. Furthermore, while the first one is kicking its twin, the other is kissing him on the forehead. Watch this interesting video below! This post was republished from myilifestyle.com. You can find the original post here.